Like so many writers, I started writing stories as soon as I could write. I submitted poetry and short stories to magazines in my teens. All rejections, apart from one article in a Christian magazine. My first ever earnings from writing – $5! I was so excited! I always wrote and journalled, but didn’t start writing for publication again until 2010, when I entered a Harlequin online contest. What is your tagline for your brand of stories? “Sweet inspirational romance to make you smile.” My aim is to write stories that don’t just show the love of the hero and heroine, but God’s love for us all too. What writers have influenced your writing the most to this point? I read a lot of Harlequin Love Inspired! All the authors for that line are wonderful. Marta Perry is one of my favourites. I also love Debbie Macomber’s books. For favourite comfort reads take me back to beloved authors from my teens. A Harlequin sweet romance author from New Zealand who wrote in the 60’s, 70’s and 80’s, Essie Summers; and Canadian author L.M. Montgomery, who wrote a lot more than the Anne of Green Gables books. I adore those older books, but oh my, they would never get them past an editor today, with all that head hopping! I know you went through revisions with a publisher but ultimately decided not to continue pursuing that opportunity. How did you come to that decision? I was blessed to receive revisions on my semi-finalling Harlequin SYTYCW 2013 entry, Believe in Me, from Heartsong. I did the revisions and was ready to hit send when I had one of those whispers of Spirit. I loved the books Heartsong released and was overjoyed to be published there, but I had problems buying copies, which raised concerns about the distribution. I prayed a lot and made the difficult decision to write a prequel novella and self-publish both books. As it happened, Heartsong may never have published the story as an October 2015 release was suggested, and sadly the line will be closing. Also, through several rounds of edits, the story grew to 68,000 words, far too long for Heartsong! I have second revisions on a Love Inspired submission, too. Although I’m far from a prima donna and will gladly make huge changes to my stories if it will make them stronger, the editor has asked me to remove a prayer which feels key to my heroine’s spiritual development. I’m torn. Publication with Harlequin has been a dream since my teens, but I need to be true to the stories God asks me to write too! Do you plan on pursuing traditional publishing again in the future? I’m open to God’s lead. 🙂 For now, I have a long list of stories to write, and I’m feeling called to focus on self-publishing. What has been the most rewarding part of your indie journey? The direct contact with readers, having them tell me what they love about the stories. The reader community for Christian romance is so sweet and so supportive! Being able to write the stories I feel called to write, rather than having to fit publisher requirements is a huge plus too. Now Heartsong is closing, there aren’t a lot of publishers taking on Christian contemporary romances set outside North America. I have some US set stories, but I also want to write UK and Australian set books. And I do like having control of every aspect of book production. I work with a professional editor and a wonderful critique partner, but I had to teach myself cover design, formatting, and a whole lot of other stuff! LOL, having to be responsible for every aspect of book production! It’s a lot of work and I’m still learning. A bit like being a Mom. Once you think you have it all figured out, something changes! What advice would you give to writers who have just started their journey toward publication? To keep on writing and not expect too much from your first draft! I have five years worth of unfinished or unedited first drafts that may never be published, but I learned something from every one of them. Let yourself write learning manuscripts, and know that ANYTHING can be edited, no matter how bad it seems in first draft. I had a lot of failed starts and gave up writing again and again over the years because I couldn’t get the first chapter or two the way I wanted, and so I stopped. I know now that although I do plan a little before I start, I write best when I pants it. Often, the first two or three chapters may never appear in the final version at all because they’re the way I get to know the characters. I now take every story through at least three rounds of edits, and it only really comes together in the final draft. I know that makes planners scream, but the most important thing is to discover and trust your own writing process, whatever it is. Where did you get the idea for the Love in Store series? Um, the truth is, I can’t remember! I drafted Believe in Me, which is now book 2 in the series, as a sweet secular romance novella back in 2011, in response to a romance publisher’s Call for Submission asking for Christmas stories based on one of two Christmas songs. I’m not sure now what made me decide to set it in a London department store. Probably because I worked in central London at the time and walked along Oxford Street, London’s main shopping street, every day on my way to the office, just like Cara does at the start of the story. Was it always intended to be a series? Not at all! It was supposed to be a stand-alone novella! But Believe in Me grew in edits from a 20k novella, to a 48k submission to Heartsong, and then through two more rounds of edits to the final 68k story. When I decided to indie publish it, I wrote a prequel standalone novella set in the same department store, The Wedding List, which is now available free on Amazon, Nook or Kobo. Then minor characters all started needing their own stories! Tell the readers about the concept behind your Love in Store series. Imagine a slightly run-down central London department store, a cross between Selfridges (a real London store) and Grace Brothers (a store in the slightly risque UK 70’s comedy series Are You Being Served), and all the people connected to the store. Books 1 and 2 focus closely on the store and the attempts to keep it open, while books 3 & 4 have links to the store but also to Paris and Edinburgh, as the heroines are the American twin sisters who have some travel planned while they are in Europe! Supporting homeless people also developed into a theme running through the series, and the local homeless shelter plays an important role. Who’s your favorite couple from the Love in Store series thus far? Oh my, that’s like asking a mother who her favourite child is! I love all of them for different reasons. Who’s your favorite fictional couple of all time? My favourite movie ever is probably The Princess Bride, so I’ll go for Westley and Buttercup, and their True Love. What’s next for Love in Store? My new release More than Friends is a linked story, not actually part of the series, but the hero and heroine appeared as minor characters in Book 3, A Model Bride. Part of that story is set in Edinburgh on New Year’s Eve, as the hero Mac takes Tiffany home to stay with his parents so she can experience a real Scottish Hogmanay. More than Friends features Mac’s younger sister Catriona, and Alistair, the man she’s been in love with since her teens. Plus a dog and a busload of disabled kids on a Vacation Bible School trip to the beach! Absolutely! I love wedding stories, so stories #5 & #6 will be romances growing from the weddings of Cara and Nick from book 2, and James and Beth from Book 1. Plus I have a Thanksgiving story planned which is also loosely connected, as Brad, a minor character from book 4 tries to reunite with his divorced wife. I need to write faster! Any upcoming projects readers should be on the lookout for? LOL, can’t decide if that should be laptop or critique partner! On the basis I can always get a new laptop but my CP is irreplaceable, I’ll go for critique partner. Autumn is giving away a mobi for Kindle copy of A Model Bride, from her Love in Store Series. A model Bride is on sale at a special reduced price of 99c until June 2. It can be purchased here. Splash! NINE RefreshingRomances Filled with Faith! Nine beloved authors of contemporary Christian romance have banded together to offer this limited-time collection of all-new romance novellas perfect for your summer vacation reading pleasure. Come visit Scotland, Zambia, Australia, Canada, and several American states, including Alaska, in these inspirational romance novellas. You’ll love each refreshing contemporary romance as the characters enjoy the water on hot summer days, whether it be in a river, lake, ocean… or a swimming pool! When nurse Catriona asks for help with her Vacation Bible School for disabled children, she never imagines how much could go wrong on a simple seaside day out — or that the colleague she’s secretly loved for years might come to see her as more than his best friend’s little sister. Lifeguard Alivia Collins looks forward to another summer on the guard stand at the Serenity Landing Aquatic Center. This year, she’s going to have to keep herself from falling for the cute, new guard – or realize it’s time to give love another chance. When out-of-work fashion journalist Karyn Lewis uses the summer to regroup on the coast of Virginia, she plans to lie low at Pine Breezes campground. She doesn’t plan for her heart to be on a collision course with old friend Brodie Reed. They must decide if the past that looms between them will be too much for them to have a future together. 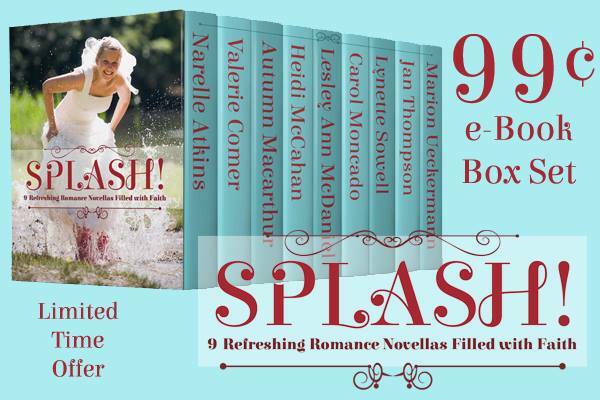 Grab a tall glass of lemonade or iced tea and dip your toes into a cool pool of water on a hot summer’s day while you enjoy the never-before-released Christian romance novellas in SPLASH! Scroll up and snag your copy today. When she’s not talking to her strawberry plants or cherry blossoms, she can be found blogging at http://www.faithhopeandheartwarming.com, on Facebook as Autumn Macarthur, and on Twitter as @autumnmacarthur. She loves hearing from readers so do get in touch! You can subscribe to her mailing list here. Thanks for inviting me to visit your blog! As many of you know, I’ve been working on getting my Christian non-fiction book, Altered before the Altar, finished and published through Createspace. It has been a long and arduous journey, but I uploaded everything this morning and am waiting for the file review to complete so I can begin selling it in Kindle and paperback. As I sit here in the afterglow of taking the biggest step in my publication journey thus far, I wanted to share some of my thoughts with you, my fellow laborers, on this experience. When I first began seriously looking to published Altered, I knew that I wanted to write a good book that was relevant to single Christian women, easy to read, and that looked as professional as possible. I didn’t want any developmental editing or content editing: I wanted to say exactly what I felt led to say. I also didn’t want to pay thousands of dollars for a professional product, especially when I couldn’t be sure I would sell enough copies to break even, let alone make a profit. It was more about putting the best book out there than anything else. I think that I’m doing that, but it hasn’t been an easy journey. I did a lot of things wrong: I didn’t write the book in the properly formatted template from the beginning, which meant I didn’t give my cover artist an accurate page count the first time she asked (I also wasn’t finished writing the book and had to guess what the ending page amount would be–rookie mistake #2). I didn’t do a very good job of communicating what I wanted the cover to look like the first time around. I didn’t do much research into a cover designer. I thought that since I’d worked with a graphic designer before, it would be similar this time around. I didn’t know that cover design is a completely different art. I ended up choosing a designer who did a fantastic job, but that was due to God’s grace and not my ability to choose a designer. I also didn’t pay for formatting, which turned out good and bad. It was bad because I spent weeks trying to figure out how to integrate all the elements I wanted without things shifting around on me. I didn’t know how to format the headings to alternate between the book title and the chapter titles. I couldn’t figure out how to create an automatic table with the elements I had. I didn’t realize that Times New Roman wasn’t a good font to choose for a professional looking book, or that the Georgia font’s size 8 was larger than the Times New Roman 8, etc. I kept getting pages that looked wonky and refused to be fixed. I didn’t realize that I had to buy Adobe Acrobat in order to edit a PDF document. The things I didn’t know about formatting could fill another book. I didn’t know the rules for permissions for using non-KJV scriptures, either. In short, I knew next to nothing about publishing. But here’s what I did know and what I learned along the way. I knew I had conducted great interviews and studied extensively enough to write a great book. I knew that I needed a professional cover designer. When I couldn’t afford to pay for formatting, I knew that if I could find instructions, I could teach myself how to do it. I studied traditionally published books to see what elements I needed. I enlisted the help of beta readers. I took as long as I needed to take to make sure each element was exactly as it should be. I tested quotes social media to see if they made sense. By learning to format, supplying my own cover image, and using beta reader response to revise, I saved myself a lot of money, learned new skills, and still ended up with a book I can be proud of. I’m still not the best social media marketing maven, and I still don’t know if my book will sell well, but what I do know is that everyone who does end up buying a copy will be getting a quality book. 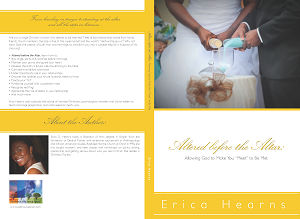 I’ll be sharing the back cover copy and purchasing information soon. I can’t wait to show off my book baby. 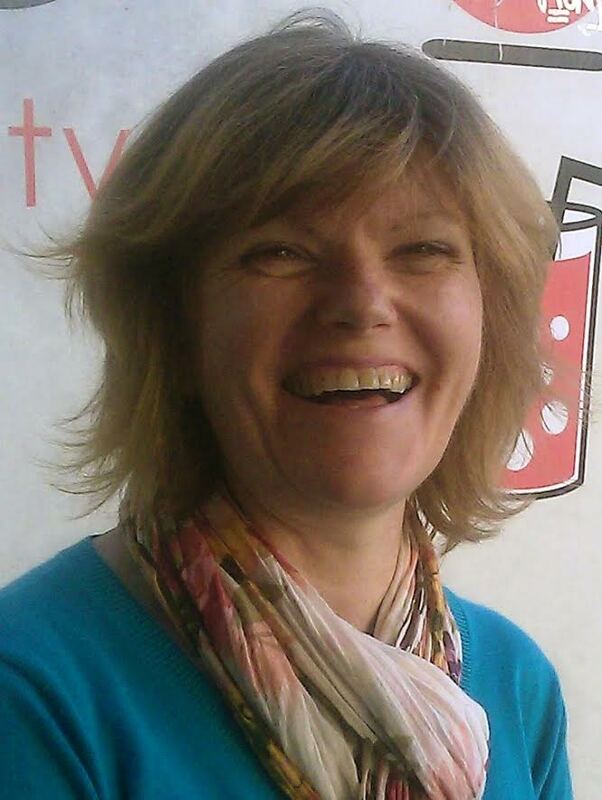 Publisher: I never wanted the listed publisher on my book to be Createspace. I’ve come up with a couple ideas of what I wanted my press to be named and feel like they’d work well. I thought I could just pay a few bucks for an ISBN and type in the name I came up with and be done with it, but a search through the internet’s self-publishing information suggests that I would need to register as a company and open a business account if I intend to do more than give them to friends or sell them at trade fairs. Is this advice outdated? Trademarks: I’ve thought a long time about trademarking the logo the fabulous Jada Prather designed for my website and using it as the symbol for my press. I want to put it on a few items for purchase (which I guess also points to me needing a registered business) and protect it from being used by other people. I’ve had some of my writing stolen before and so I want to ensure my ownership is established. However, trademarking can cost a lot of money and it takes time. Should I get the logo trademarked before the book comes out? Uncle Sam: Okay, so I’ve always known I’d have to actually go to a person to have my taxes done once I started to generate an income from my writing. I’m not sure if that will happen this year or not. But if I register as a business, how will that change my tax season? What expenses would I be able to claim and what expenses couldn’t I claim? About how much should I be putting aside to pay taxes with? If I buy my books from Createspace at the author price and sell them myself, do I deduct what I paid for them from what I report? Gah! I hate thinking about taxes on money I’m not even making yet. How is writing going for you all? Any advice for a newbie self-publisher? When I was a teenager/in my early twenties, one of my relatives wrote a book and wanted me to read it. Well, actually, I believe she gave it to my aunt to read and because I like to read/proofread, I ended up with it. It was her first book and as far as I read, it was comparing visions to pregnancy. Sometime last year I became acquainted with a youtube video of a keynote at a conference that referenced the same thing. Apparently it’s a really useful analogy with women in the religous world. To be honest, when I was given my cousin’s book, I was befuddled and a little disturbed. I never finished editing that book. My cousin hired someone to edit it and it was published. As a writer, I feel terrible that someone gave me their book baby and I DNF’d on it. When my usual beta reader was reading my daily output of Delivering Justice, I felt that feeling ramp up in me. It’s especially bad now that I’ve given the marriage book to my minister to beta read. So, in honor of my late cousin and my regret for not realizing how ahead of her time her book was (possibly), I am going to compare my book journey with the marriage book to a pregnancy and childbirth. (Sigh) OK, here it goes. The seed for this book (and I’m a little grossed out already) came from a frustration with the fact that people were always pestering me about when I was going to get married, but no one seemed to be willing to share with me any useful information about being married. It was like the number one rule of marriage was you don’t talk about marriage–except to tell people to get married. As the idea took root, I began to think about a)how I could get people to stop asking me when I was getting married without resorting to rudeness and b)how to get the information I really wanted to know about being married. After some initial doubts and second guessing, of downplaying and explaining away the symptoms, I realized that I was pregnant with a book (gah! typing “I realized I was pregnant” in any context right now is just…*lays down in the corner for a while*). Once I knew I had a book growing inside of me, there was no way I could abort it. Boy or girl? There were a couple of ways this book could have turned out. I could: write a book about a subject I’m not all that authorized to talk about (hello! I’m not married); write an intensely personal account of my own journey to marriage (which, since I’m not married, seems a bit premature), or; talk about something I actually do know about–being single. The thing is, I didn’t want to write some book about how it was so great to be single. I’d been content with being single for a long time. I didn’t have much to learn there. The point was that I wanted to know about marriage. It took a while, but I finally found the book I could write: a book that focused on being a content single woman who is also acquiring biblical knowledge about what it would mean to be a wife. I was having that book. I conducted the first interview (the official start of this book making process) nearly four years ago in August of 2010. Since then, I have conducted many more interviews, study scripture intensely, gone through two different pre-marital counseling courses, attended years of monthly Marriage and Family workshops, wrote in fits and starts, and…stayed single. I’ve experienced my share of Braxton-Hicks contractions with this book. I thought I was going to get it out into the world many times before now. I thought I had someone to help me with publishing. I thought I knew who would design my cover. I thought the book was finished. In every instance, I was told it was a false alarm. It wasn’t time yet. I’ve never been in labor myself, but from what I understand (mostly from TV), labor starts slow and can take a long time. But then, things start happening, and the next thing you know, TA DA! Baby is here! My labor began pretty slowly as well. I began working on the book again after a hiatus writing and subbing romantic fiction. I saw someone who had a book coming out post a picture of their cover and thank their graphic designer. The cover looked really nice, so I looked at the designer’s portfolio. I really liked what I saw, so I asked her for a quote for a cover design and formatting for kindle and physical books. Then the contractions began to come faster together. I wasn’t sure if I could afford the quote that I was given, so I told her to let me think about it. Soon after, I was asked to do paperwork for someone who promised to pay me well for doing it on short notice. Then my minister agreed to beta read the book for me. Then someone else offered to help pay for the book cover. Then a visiting minister’s wife (who has self-published two books of her own) said she would help me with any part of the publishing process that I needed help with. I did a good chunk of the paperwork and received enough money to pay the downpayment the graphic designer asked for in her quote. A couple of beta readers have my book and I have the downpayment to commission the cover, all in less than two weeks. I’ve kept the name of this book baby close for a long time. Once I get that cover, I will reveal the cover and the title. I have a really good feeling that this book is going to be here really soon now. So, that’s (most) of my journey from aspiring author to (almost) proud book parent. How is your journey going?